This is an early version of a project that I’m working on: it shows a video of a hand in which the video is flipped as a mirror image in order to create a strikingly bizarre image resembling an alien creature. The video is an attempt to highlight the way that even the things that we treat as totally normal and mundane are in fact full of strangeness and wonder. In the video I’ve used the simple technique of mirroring something as a way of removing it from its normal context. Thus I’ve made something that’s as ridiculously familiar to us as our hands look so ridiculously alien and disconcerting. Who’d have thought that you had such strange things stuck on the ends of your arms? This is a version of a piece of art that I’m working on, based on a pair of shoes and a mirror. 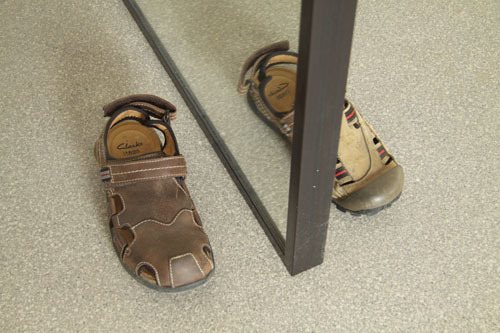 The shoes are positioned so that the reflection of each in the mirror coincides exactly with the other shoe on the opposite side of the mirror, merging the real shoe and the reflection of the other shoe into one. Like a lot of my works that involve illusion this one explores the line between reality and our interpretation of what we perceive. 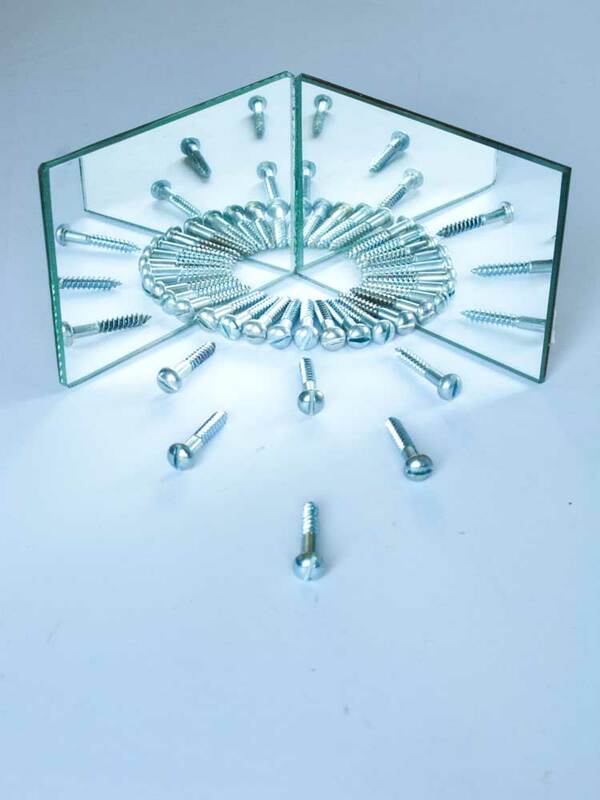 A study for a work composed of mirrors that are configured so that they create reflections round a symmetrical axis and also create reflections in infinite regression. 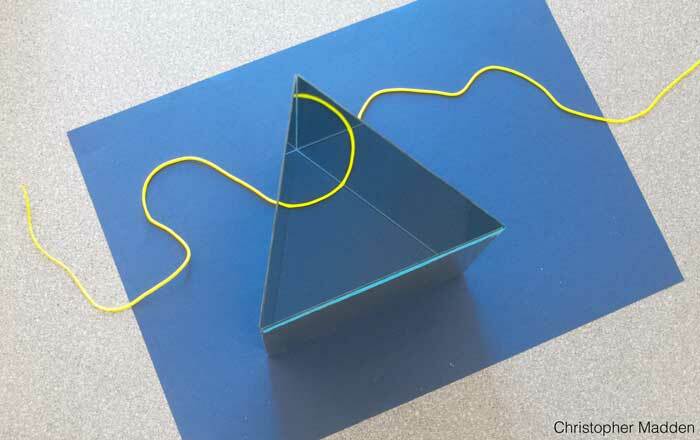 The reflected object in this work is a single short length of coloured cord (about 40cm long). 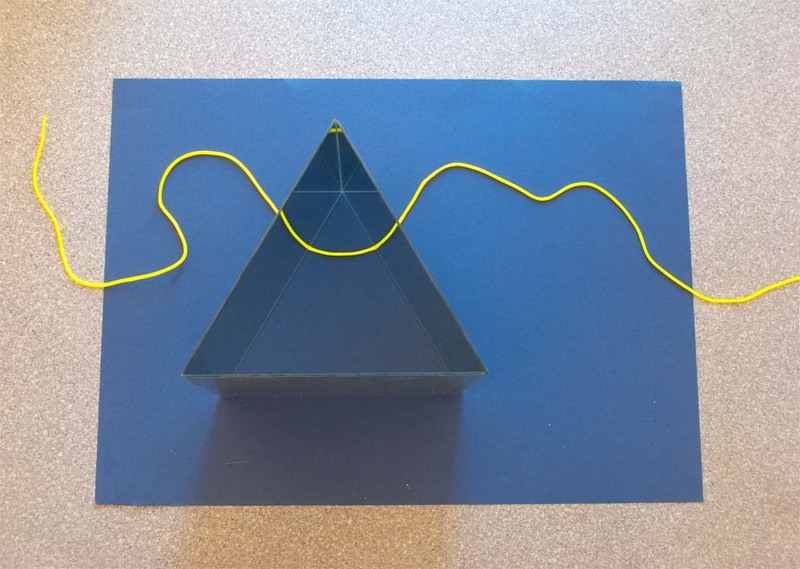 The cord is brightly coloured and is lit by a directional light source which gives the cord the effect of being a pulsating energy stream in a containment vessel, perhaps in a high energy physics laboratory. 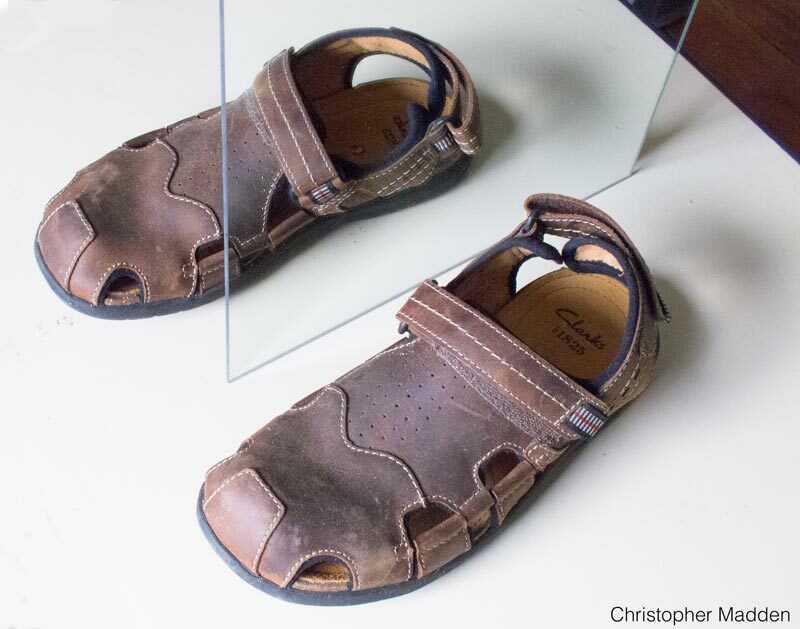 A pair of shoes and a mirror, with the shoes positioned so that the reflection of the shoe in the mirror coincides exactly with the other shoe on the opposite side of the mirror, thus merging the real shoe with the reflection of the other shoe. 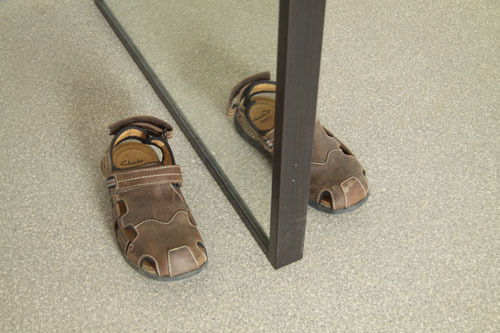 Part of a series of works involving the reflection of shoes in a mirror, with the shoes positioned so that the reflection of each shoe in the mirror coincides exactly with the other shoe on the opposite side of the mirror. In this work the shoes involved are not a pair. 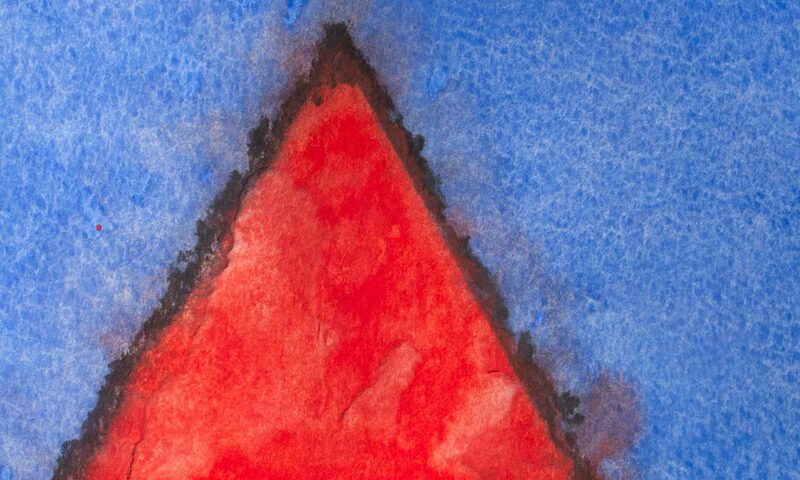 This creates a double dissonance in the viewer. Firstly the viewer has to interpret the fact that the reflected part of the shoe is not part of the other shoe, and secondly the viewer has to interpret the fact that the two shoes are different (with the degree of difference varying depending on the position of the viewer and thus the amount of the shoe that is behind the mirror that is visible). 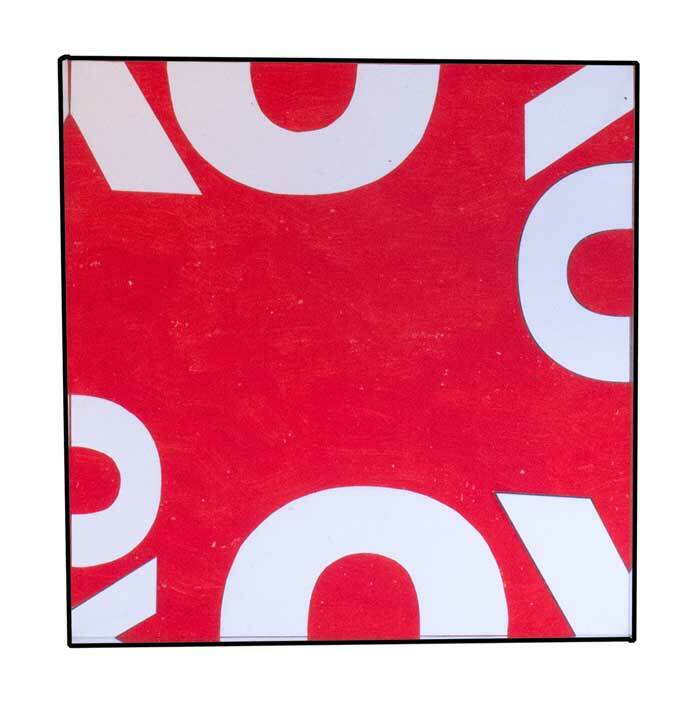 Like a lot of my works that involve mirrors and reflections this one explores the line between reality and our interpretation of what we perceive. 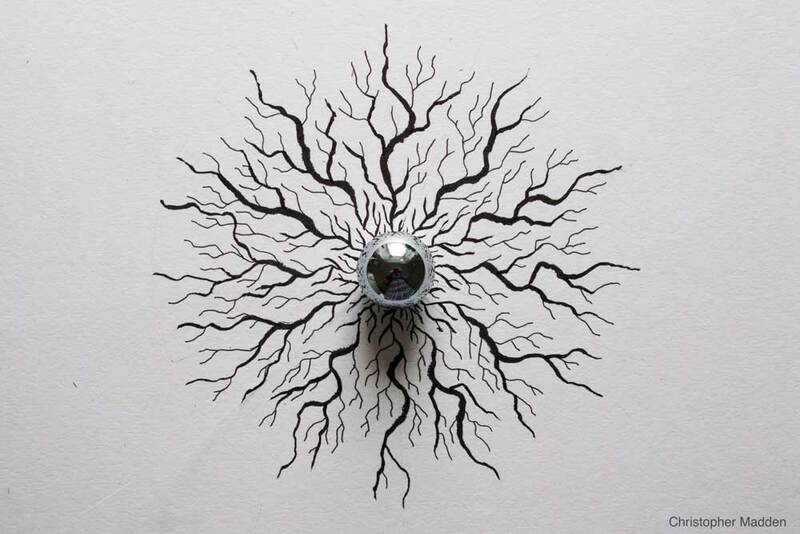 A study of reflections using mundane everyday objects to create interesting formations. 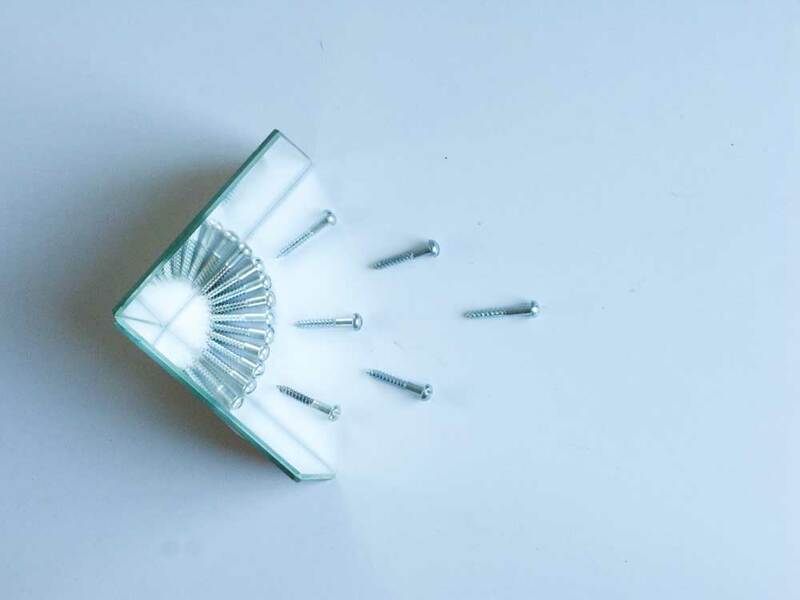 Here ordinary hardware screws are arranged to form a dynamic expansive configuration. 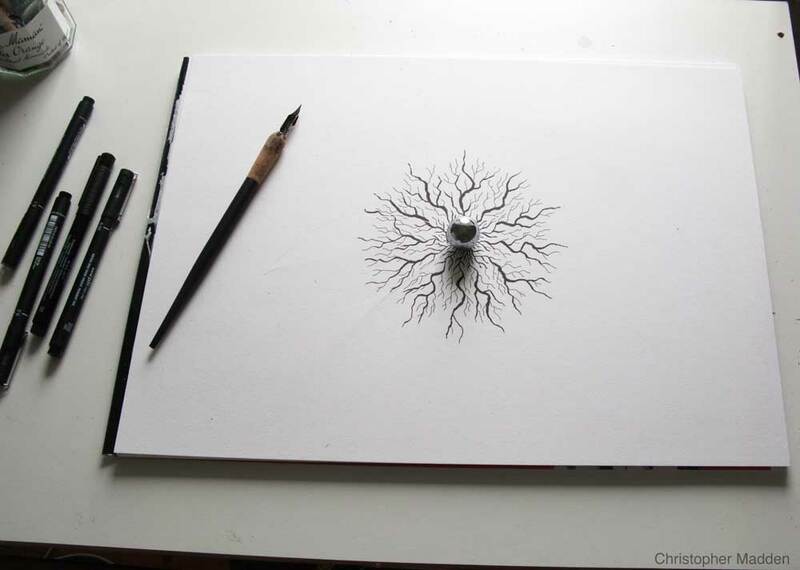 Screws lend themselves to this study partly because of their physically dynamic shape – large at one end and then tapering away at the other – and partly because of their intended purpose, which is to hold things in place – the exact opposite of dynamic expansiveness – which brings a slight touch of paradox to the work. Anyone looking at the image who feels that I ought to have lined up the screw heads – it’s a deliberate act not to have aligned them, even though in real life I am an obsessive screw head aligner. 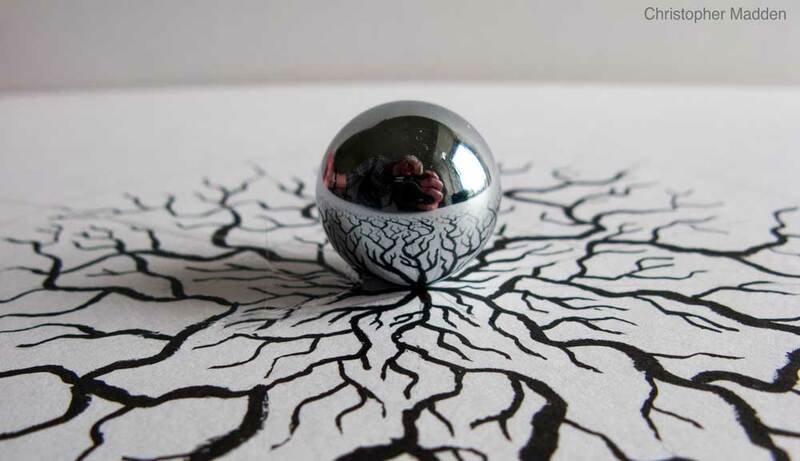 Contemporary art: mirrors + multiple reflections = illusions. 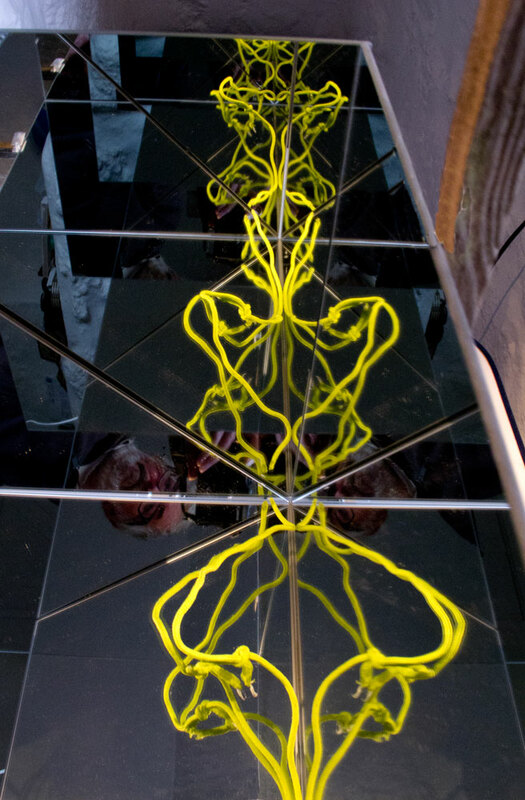 An example of one of my projects in the field of contemporary art exploring mirrors, reflections and illusions, here using a piece of cord that is reflected multiple times to give the impression of a closed circle. 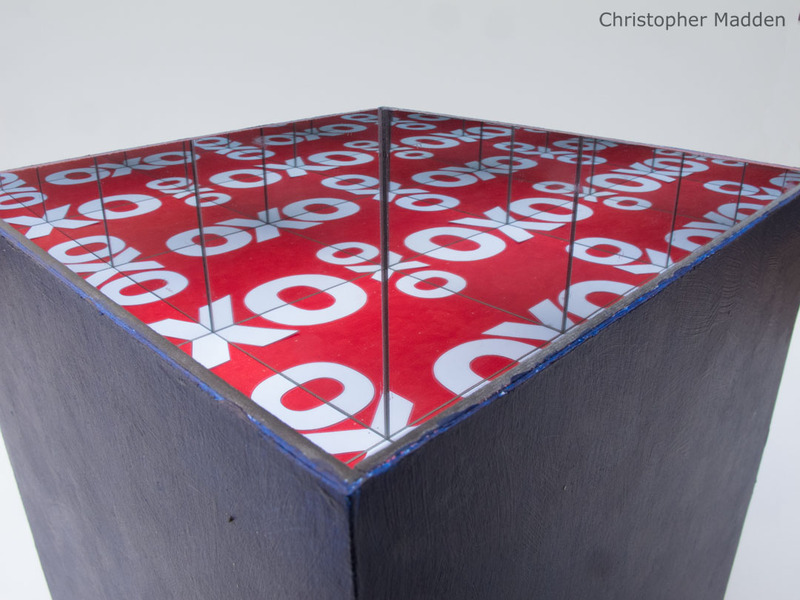 This work consists of three mirrors creating a triangular box with the reflective surfaces facing inwards. 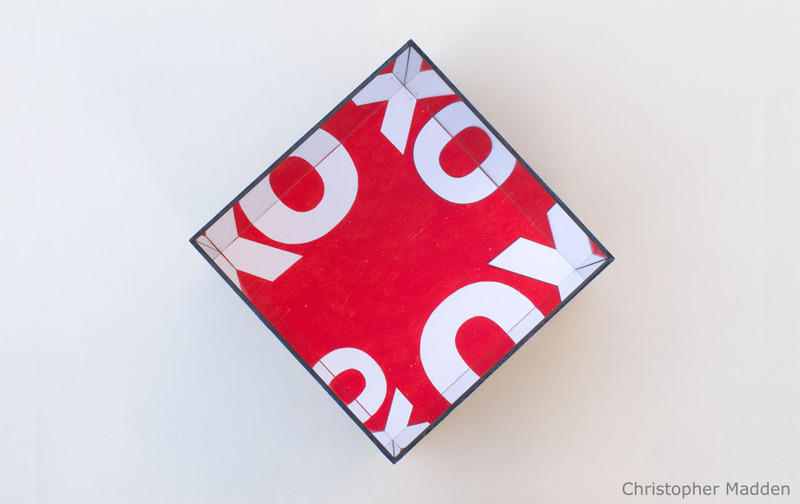 The box is placed over a length of brightly coloured meandering paracord. 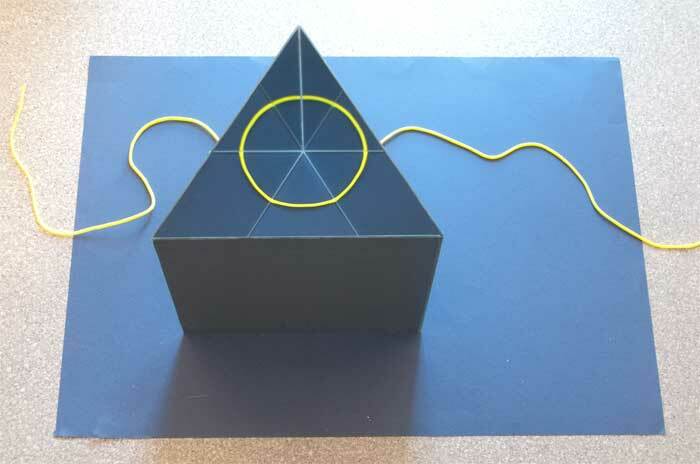 The cord is laid so that the section that lies inside the triangular box is reflected on the box’s sides to give the illusion of forming a circle. The second photo shows the piece from a different angle to show the structure. 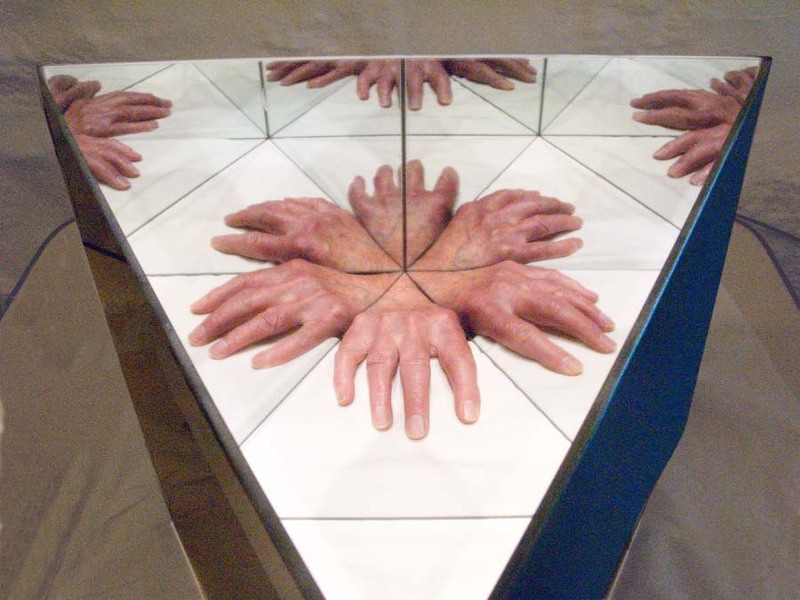 Three mirrors forming the vertical sides of a triangular box turn a hand into an alien creature. 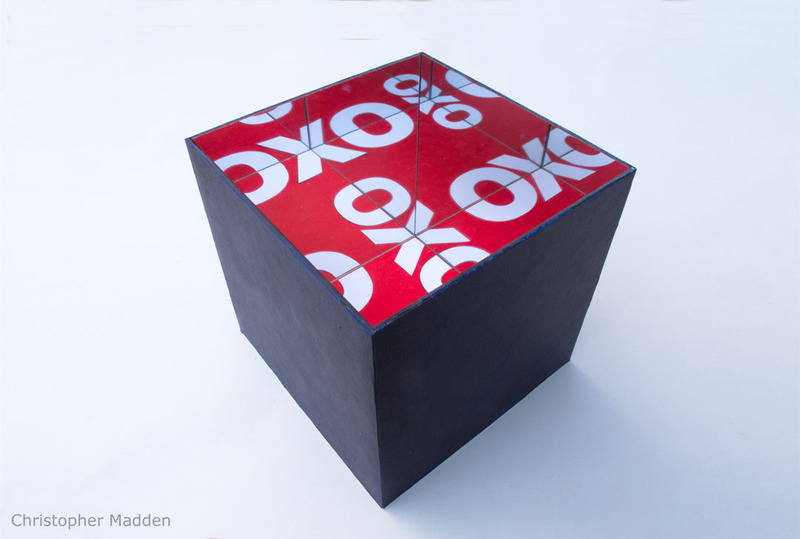 The hand is intruding into the box through an opening in the corner. 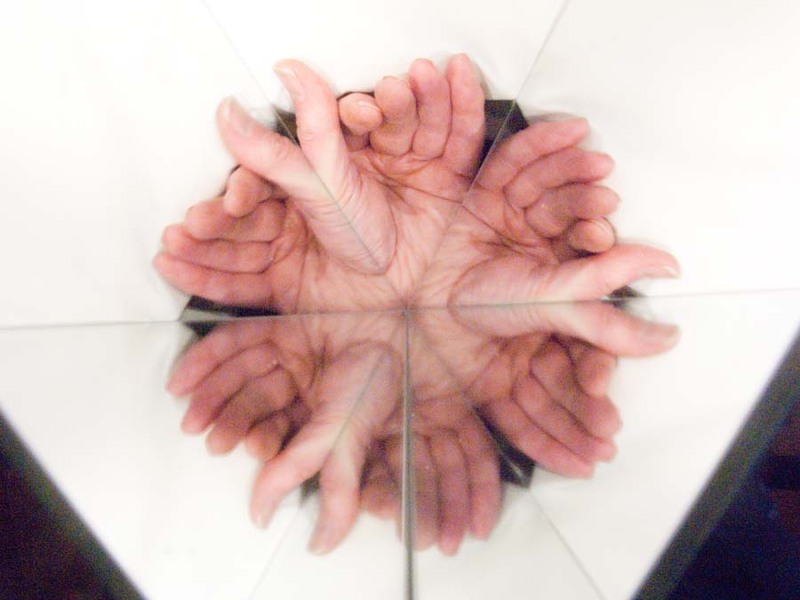 An exploration of how a familiar object (a hand) can be transformed into something completely alien purely by the use of simple mirrors.